Arterin plus is a nutritional supplement for the treatment of cholesterol in a natural and effective way. Arterin pluslowers cholesterol levels. Cholesterol is fatty water insoluble matter used in our body as a building material for body cells, hormones and vitamins. It plays a key role in the production of bile acids, which is important for digestion. It is largely created (70%) by the body itself, the other part is fed through the diet. Cholesterol is an essential fat for the human body, however, too much cholesterol damages the health and especially the blood vessel’s inner wall. Cholesterol is subdivided into two types, namely HDL (High Density Lipoprotein), better known as the “good cholesterol” and LDL (Low Density Lipoprotein) known as “the bad cholesterol. The LDL cholesterol can be deposited in the blood on the inner wall of blood vessels if left in excess. LDL-Cholesterol can accumulate inside the blood vessels in the form of ‘plaque’. The blood vessels can therefore relax as a result of which eventually long-term cardiovascular disease can develop. There are several factors that lead to increased cholesterol levels. Overweight, diabetes (“diabetes”) and a hereditary condition are one of the causes. In addition, consumption of hardened fats (trans fats), saturated fats and cholesterol-rich foods are an important cause. A too slow thyroid, side effects of certain drugs and smoking can also increase cholesterol levels. Increased blood cholesterol levels are associated with an increased risk of cardiovascular disease. Smoking, increased blood pressure and diabetes cause damage to the blood vessel’s inner wall. 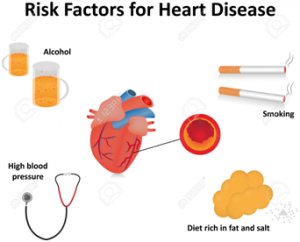 In people with risk factors such as high blood pressure, CVA or diabetes, it has been shown that lowering of cholesterol levels significantly reduces cardiovascular disease. In Arterin plus , monacoline K is the active substance present in fermented red yeast rice. Red yeast rice comes from a mold, the ‘Monascus purpureus’ grown on rice. This yeast produces monacoline K, a red pigment to which the yeast has its name. 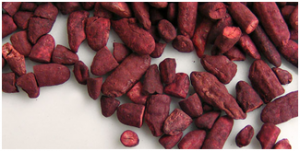 Red yeast rice has been used for hundreds of years in traditional Chinese medicine. In Arterin plus is monacolin K, a natural way to control cholesterol. Monacoline K inhibits the production of cholesterol in the liver, thus decreasing cholesterol and fat. Arterin plus is an alternative antidote to cholesterol in people who do not tolerate cholesterol medication or suffer from side effects. Order today Arterin plus 180 tablets!